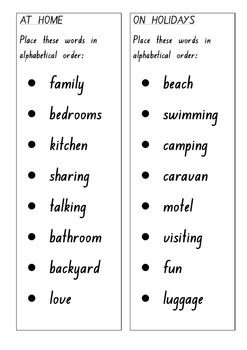 20 cards - each has a separate theme to practice skills in alphabetizing words. Great intro to learning how to use a dictionary. Eight words on each card to sort and write correctly. NSW font. 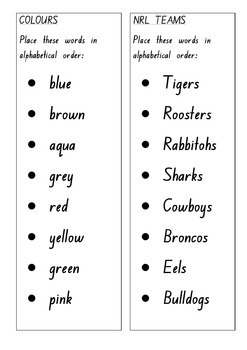 Some Australian themes, eg NRL teams and AFL teams, encouraging high interest in the activity. 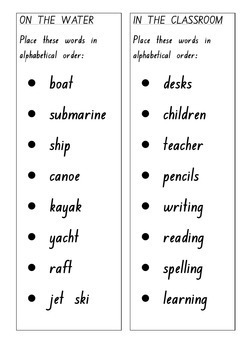 Cards can be printed and laminated for 'word work' use in literacy centers. 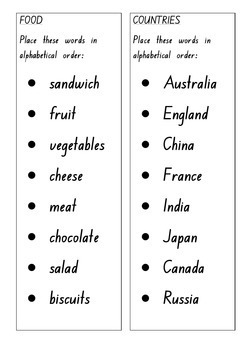 Thanks for choosing Alphabetical Order Practice cards!